When it opened its doors on 23 November 1908, Pennsylvania’s Eastern State Institution for the Feeble-Minded and Epileptic, subsequently renamed Pennhurst State School and Hospital, began admitting epileptics and people with mental disabilities from insane hospitals, county care hospitals, almshouses, reformatories and prisons from all over the state. 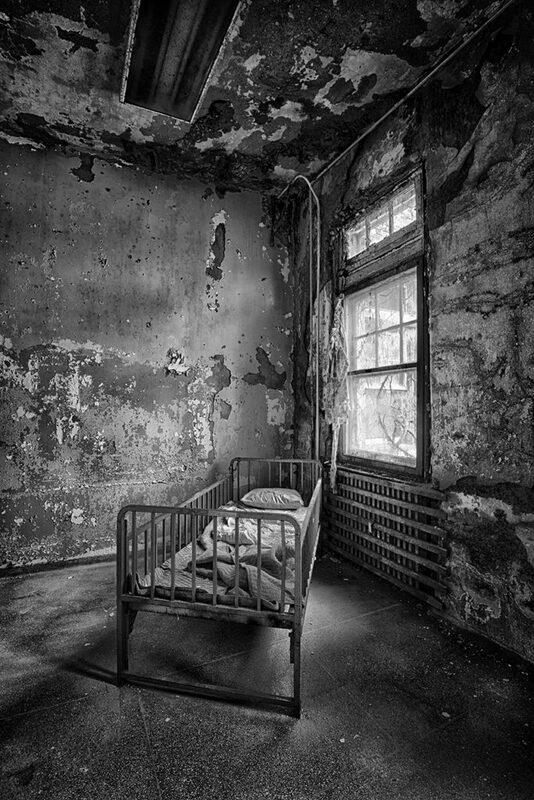 The State legislation that established Pennhurst defined it as an institution for “the detention, care and training of idiotic and feeble-minded persons”. 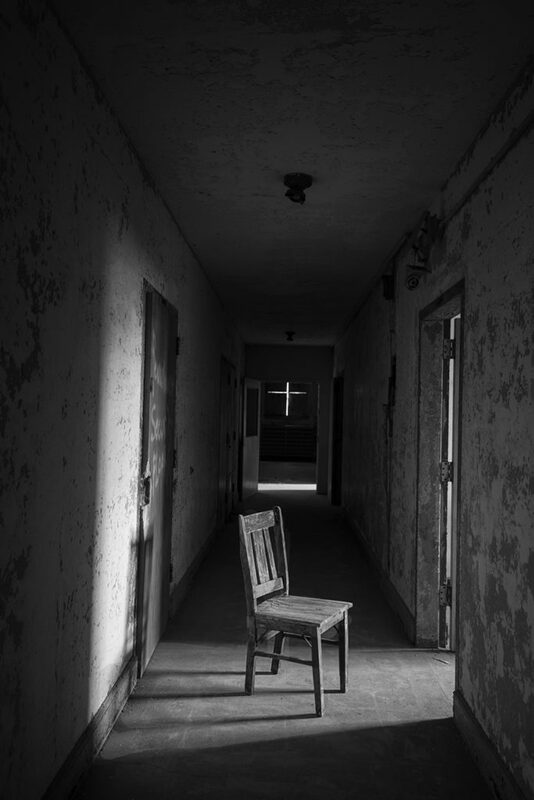 The care and training aspects of Pennhurst’s mission seemed to be quickly ignored, as the focus fell squarely on detention, characterized by the forcible restraint of patients, punitive use of solitary confinement, segregation and forced sterilization of youths defined as “simple-minded”. The belief of the State officials who oversaw the institution was that wholesale sterilization was best for the sake of the disabled and for society at large, presumably to protect the latter from contamination by the former. 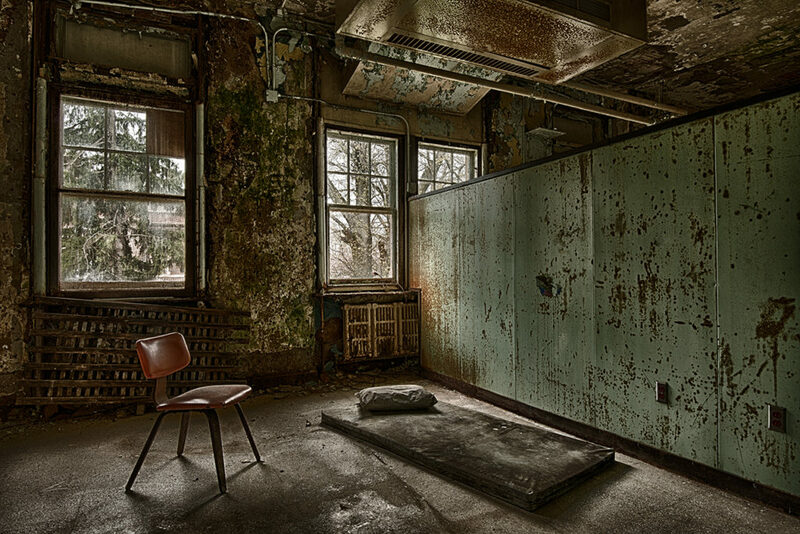 Admission to Pennhurst required nothing more than a doctor’s certificate attesting to an individual’s mental retardation. Some of the grounds on which children were admitted seem cruelly flimsy in hindsight and included “defective sight or hearing, mute, semi-mute, imperfect speech, paralytic, epileptic, blind, imperfect gait, deformity of face, head, limbs or feet, bad teeth and offensive habits”. Admission was a one-way ticket, permanently depriving an individual of their freedom, with no chance of ever returning to society. 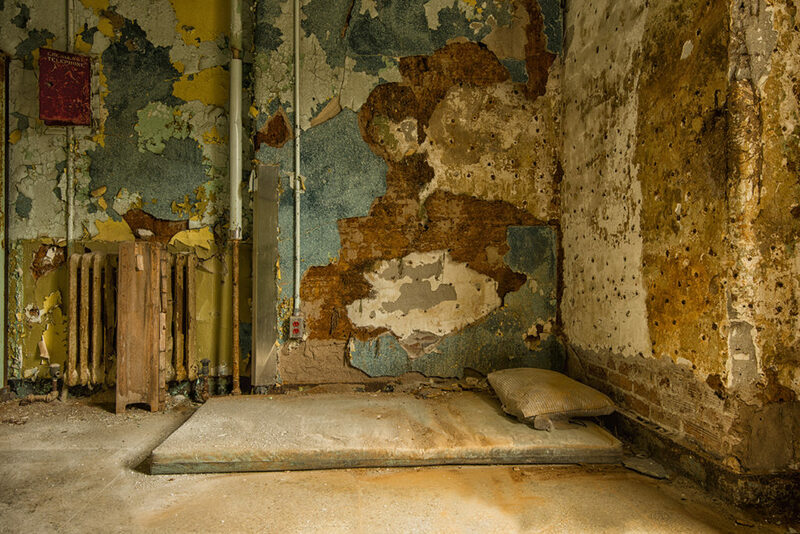 Many who entered as children remained until old age, forever subjected to the neglect and abuse that typified life inside Pennhurst’s stout, redbrick walls. The interned residents lived year after year in hospital-like dormitories, sleeping in beds crammed end-to-end in vast, draughty halls. The more severely disabled were confined to metal cage-like cribs, chained to walls or restrained, hand and foot, in chairs overnight or for whole weekends, when no staff where on duty to care for them. By the 1950s, the institution had swelled from a few hilltop buildings to a vast, 1,200-acre complex comprising 25 buildings, housing more than 3,500 patients. By then, conditions at Pennhurst had deteriorated to dangerous levels. Chronic understaffing meant that many residents, particularly those with the most severe disabilities, went unsupervised, left to wander the corridors naked, free to inflict injury and abuse on others and on themselves. While the remote, heavily wooded location of Pennhurst was designed to keep it secluded from the rest of America, it could not isolate the institution from the civil rights movement of the 1960s, which emboldened residents’ relatives and rights advocates on the outside to move to bring the attention of society at large to the desperate plight of Pennhurst’s inmates. The 1968 television documentary, “Suffer The Little Children” exposed the depravity of Pennhurst to a shocked and sickened nation. The people of eastern Pennsylvania were the most appalled by the images of cruelty that was being perpetrated in their name, on their very doorsteps. A series of lawsuits brought increasing pressure to bear on Pennhurst, culminating in that brought in 1974 in the name of Terri Lee Halderman. 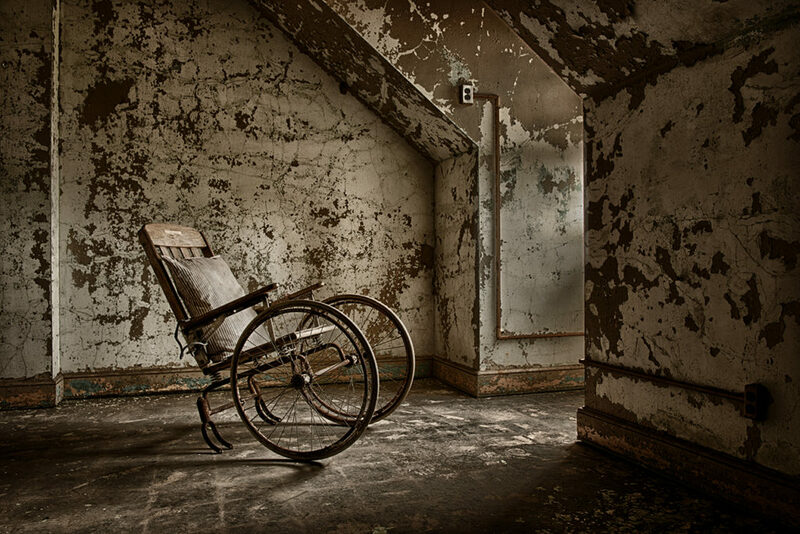 Admitted to Pennhurst at age 12, Terri Lee’s medical record showed that, during the eleven years she spent there, she suffered more than forty injuries, many the result of physical abuse, causing her intellectual development to be thrown into reverse and leading eventually to her losing her ability to speak. Halderman vs. Pennhurst State School and Hospital wended its way through the court system, eventually resulting in the Supreme Court decision, handed down in 1985, which upheld that the conditions at the Pennhurst violated the rights of the mentally retarded to care and treatment, as guaranteed by the Developmentally Disabled Assistance and Bill of Rights Act of 1975. This judgement led to the closure of Pennhurst on 9 December, 1987 and to the release of its remaining 460 residents, the last of the more than 10,500 souls who suffered the agony of incarceration at Pennhurst over the course of its almost eighty-year history. While Santo Domingo, the capital of the Dominican Republic, is a sprawling, modern metropolis of some three million people, it contains within its boundaries the remnants of a historic city that is more than five hundred years old and is the oldest continuously occupied European settlement in the Americas. 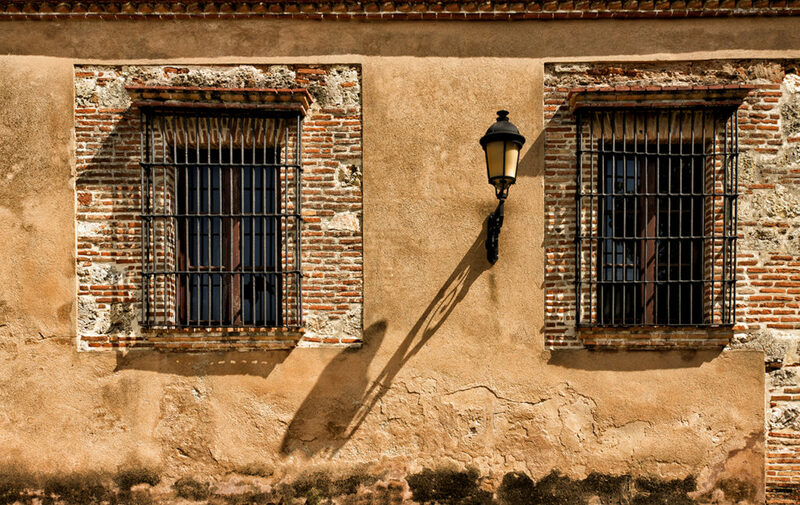 Founded in 1496 by the Genovese explorer, Bartholomew Columbus, younger brother of Christopher, the old part of Santo Domingo is known locally as “La Zona Colonial” and it retains many of the original structures built under the eye of the younger Columbus. Among these are the original fort (lead and second images) built by Columbus on the banks of the Ozama River and the Cathedral of Santa Maria al Menor, begun by the Spanish in 1512 and completed in 1540, which is the oldest cathedral in the Americas. The Spaniards used this settlement as the first point of influence in the Americas, from which they conquered other Caribbean islands and the American mainland, both north and south. Some of Spain’s most famous conquistadors set off from this point to conquer the mainland, among them Hernan Cortes and Ponce de Leon. 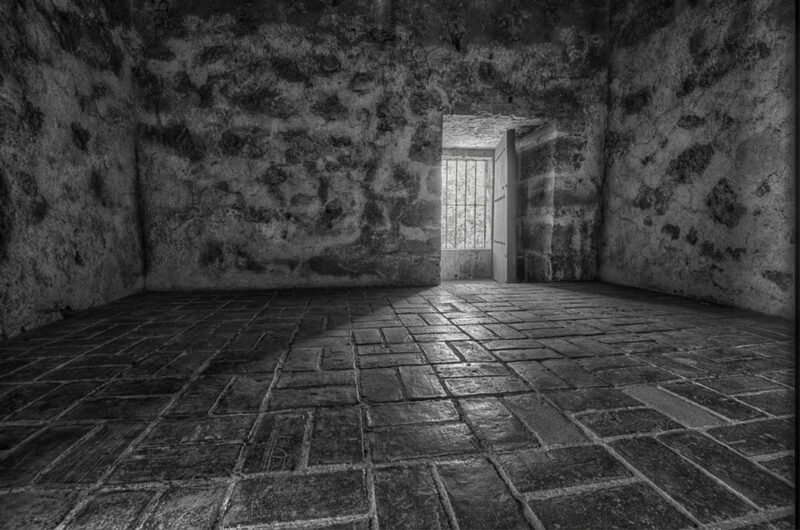 Looking around these ancient buildings, one inevitably thinks of the men who walked through these rooms, of how their voices sounded, reverberating off the thick stone walls, and of the conquests they plotted here, before setting off from the island they called Hispaniola. Not content with contemplating the past, I spent most of the hours I had to walk around the Zona Colonial eschewing the tourist traps of the better-known buildings in order to wander around the backstreets of the old town and to observe how people live today among the surroundings of half a millennium of history. 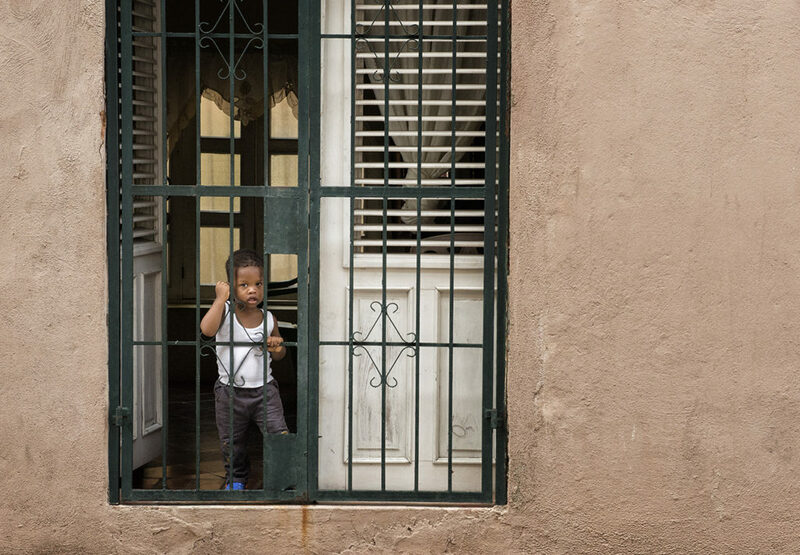 More than a third of the Dominican population lives on less than $1.25 a day and half of children under 18 live in extreme poverty. So. while these ancient buildings may look pretty and may make interesting subjects to photograph, I couldn’t help but think about the hardship that persists behind these ancient walls. The prevalence of poverty means that much of the brickwork is deteriorating, with plaster falling off and paintwork faded, all of which makes for wonderful texture and colours. 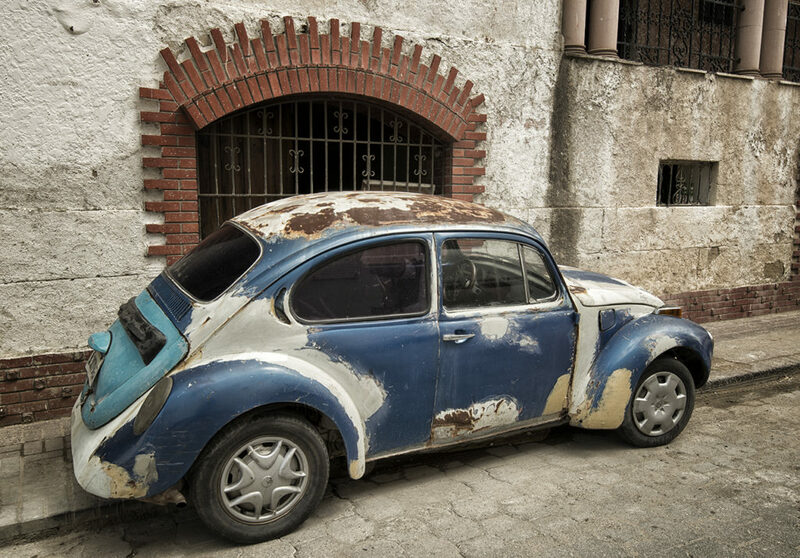 I did come across one apparently abandoned car – an ancient, rusted VW Beetle – whose bodywork was heavily patched up and it looked like the cover of the trunk had been borrowed from a different car. Yet, its tyres seemed in reasonable condition, so I concluded that it was still is use. 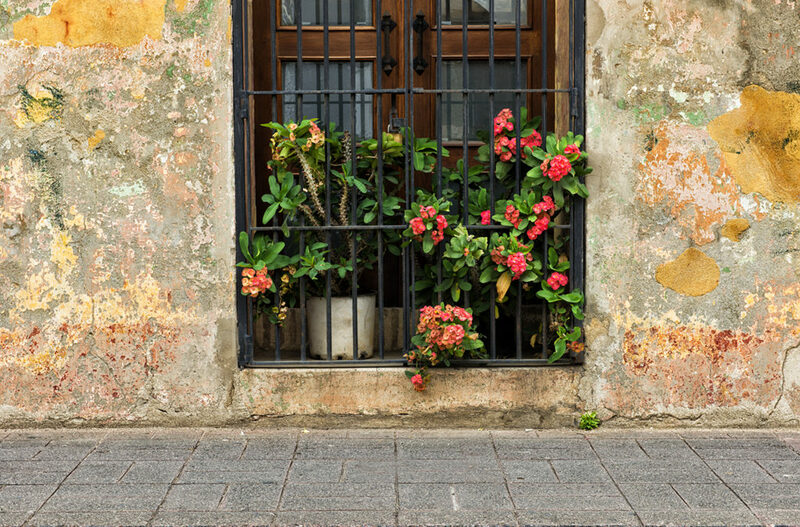 While it may be no Havana, the Zona Colonial of Santo Domingo holds many fascinations for the itinerant photographer.